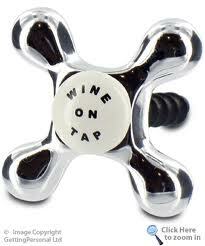 There was a time when wine on tap was considered a loony West Coast notion, like est or Pinkberry. Today, we’re fairly awash in the stuff, with more on the way. “I think every new restaurant that opens will dedicate at least one beer line to wine,” predicts Terroir partner Paul Grieco, an early adopter who’s been pouring a high-acid Finger Lakes Riesling since spring.